A man has been arrested on suspicion of murder after a 62-year-old woman was fatally injured at a property. The 58-year-old man was arrested at the scene on St Chads Road in Burton-upon-Trent on Sunday night. 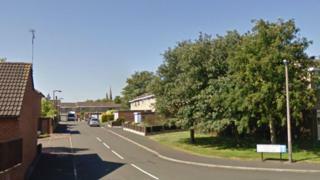 Police were called to the property at around 22:00 BST where officers found the woman injured. She was taken to hospital but was pronounced dead a short time later, at 23:12 BST. The Staffordshire force said it is supporting the victim's family.